Although Google can be said one of the best advertising systems at present yet at the same time it makes it easy to waste your money as well, if you are not tackling it prudently. If your aim is to get maximum number of clicks then Adwords presents you with a lot of default settings that will easily maximize your reach. 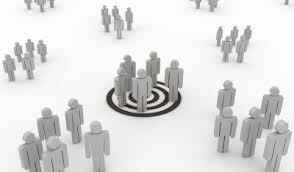 However, since this is a type of marketing where in you pay for each clicks made by customer, so the wider your network more will be the advert expense. It is perfectly alright if you are reaching a relevant audience no matter how wider your network is but usually it doesn’t happen so. Relevance decreases with the increase in your reach as most of the visitor who click on your ad aren’t going buy from you and that it eventually hurts your ROI. The idea is why should you spoil your ROI if there are so many ways through which you can trim down your audience to the most relevant potential customers and filter out unwanted clicks. 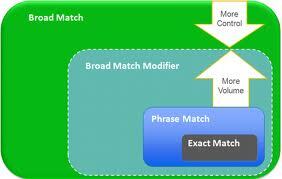 Here are six most basic ways that will help you filter out useless clicks on your adwords ads. 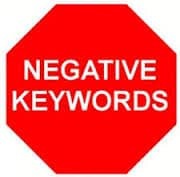 Declaring negative keywords will help you reduce unwanted and irrelevant clicks on your PPC ads in Google Adwords. By declaring your keywords you ask Google to show your ads to someone searching for it however by declaring negative keyword you are telling Google to bar the ads from being displayed if this keyword is part of the search query. Let’s say, for example, you sell hand bags and you want people who are searching for hand bags to come to your site and buy hand bags. However, even if the users type cheap hand bags they are directed to your site and there if they did not find the handbags cheaper, they walk away making that click waste for you. This is where negative keywords play a role. You can go ahead and let Google know that you do not want any clicks if these words are searched by the customer, while creating an ad campaign. This one is an awesome way of filtering out useless clicks by showing ads to your audiences at the right time and in the right place. With AdWords Enhanced Campaigns, you can show your ads to users according to their location, device, time of search and so many other factors. Depending on these factors, you can even adjust your bids, decreasing on those campaigns which are less profitable and increasing for the well performing one. There are two reasons why you need to optimize your PPC ads for mobile users, first the increasing number of people using mobile for various purposes and second mobile users behave differently from users on other devices. For example, a mobile user is likely to make a call than to fill out a form, and so your calls-to-action, landing pages and other factors should be optimized properly for mobile users. 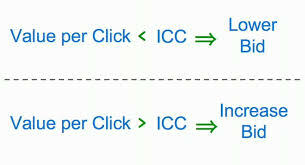 This will not only filter out the useless clicks but also will reduce website bounce rate. You will never want to pay more for less. It as simple as that! This is what you need to do here. Bid on keywords prudently raising bids on the best performing keywords and lowering it on keywords that although get good number of clicks but aren’t adding conversions to your bank and have low click through rate and quality scores. 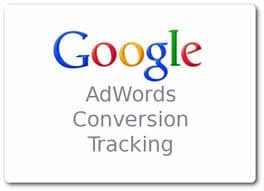 Despite of the fact that it is conversion tracking that helps manage a lot of things such as bidding, campaign optimization, ROI (return on investment) calculation and so on; a large number of people are still not practicing it. Conversion tracking gives you a clear estimation as to how much money is going waste and that you require optimizing your campaign based on the results. 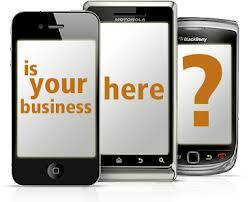 So your landing page must have conversion tracking on. Now when you know these easy but important ways to filter out useless clicks on your Google Adwords ads, I hope you will not be making any mistakes and waste more money. However, if you know some other methods to do so, please let us know in comments.